0.3 oz travel size packet. Flavored Fizzy Drink Mix. 24 Nutrients with 7 B vitamins. Antioxidants and Electrolytes. 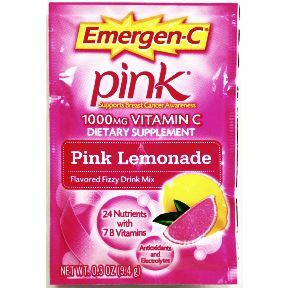 1000mg Vitamin C. Emergen-C® Pink® Supports Breast Cancer Awareness.